Praz-Delavallade has held a reputation for it’s long standing relationship with both American and European artists whose work span different mediums. The gallery was founded 1995 in Paris with an inaugural exhibition including Paul McCarthy, Mike Kelley, Richard Petitbon, Jim Shaw and Benjamin Weisman. 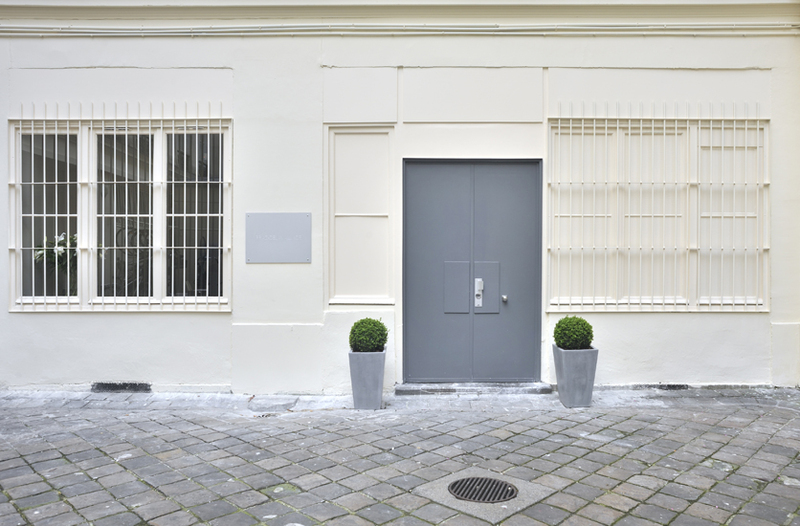 In 1997, Praz-Delavallade was behind the creation of an art scene joint project in the 13th Arrondissement along with Air de Paris, Almine Rech, Art: Concept, Jennifer Flay, Emmanuel Perrotin. Having a strong tie to artists in Los Angeles, the gallery was known for bringing an international program to the burgeoning art scene in Paris with LA artists such as Sam Durant, Jim Isermann, John Miller, Analia Saban and Marnie Weber among others. Continuing their international presence, from 2007–2009 Praz-Delavallade operated a space in Berlin in conjunction with Susanne Vielmetter, introducing the LA scene to Berlin but also starting to work with German artists such as Johannes Wohnseifer. In 2010, the Paris gallery moved to a new space in the Marais, continuing their long standing support of LA based artists by exhibiting a new generation including Matthew Brandt, Phil Chang, Heather Cook, Alexander Kroll, Joel Kyack, Dan Levenson, Nathan Mabry, Joe Reihsen, Ry Rocklen, Amanda Ross-Ho and Brian Wills along with European talents such as Soufiane Ababri, Philippe Decrauzat, Pierre Ardouvin, Thomas Fougeirol and Fabien Mérelle. In 2017 Praz-Delavallade opened a new outpost in Los Angeles at 6150 Wilshire, near the LA County Museum of Art, in an effort to create a bridge between both art scenes.